Modern graphics processing units (GPU) are becoming more and more suitable for general purpose computing due to its growing computational power. These commodity processors follow, in general, a parallel SIMD execution model whose efficiency is subject to a right exploitation of the explicit memory hierarchy, among other factors. 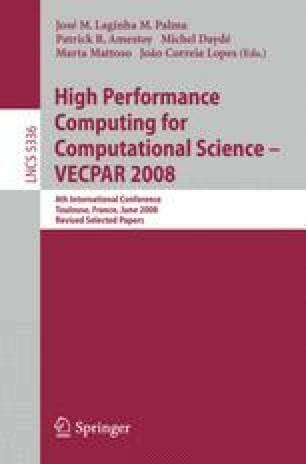 In this paper we analyze the implementation of the Fast Fourier Transform using the programming model of the Compute Unified Device Architecture (CUDA) recently released by NVIDIA for its new graphics platforms. Within this model we propose an FFT implementation that takes into account memory reference locality issues that are crucial in order to achieve a high execution performance. This proposal has been experimentally tested and compared with other well known approaches such as the manufacturer’s FFT library.